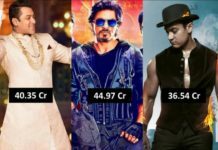 In this Box Office report we will be looking at the Bollywood movies of 2014 which makes it to the elite 100 crore club of Bollywood. 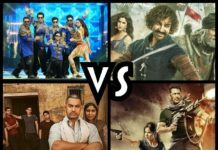 Its been an average year for Bollywood if we compare it with last year. In 2013 we have seen three 200 crore grossers while year 2014 saw only two 200 crore grossers. If we talk about 100 crore movies, year 2013 and 2014 saw eight 100 crore grossers. Salman Khan’s Jai Ho became first 100 crore grosser of 2014. The movie under-performed at Box Office and managed to collect only 111 crores at domestic Box Office. 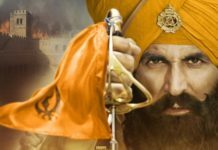 Akshay Kumar finally enjoyed big success after a terrible last year. Holiday became the second 100 crore movie of 2014 and settled with lifetime collection of 112.65 crores with Super-hit status. The biggest surprise of the year comes with the release of 2 States and Ek Villain. 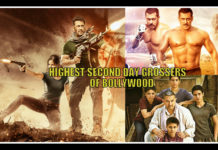 Despite having low-budget and no big stars, the movie performed exceptionally well at Box Office and become the members of elite 100 crore club. Second half of the year saw big releases like Kick, Singham Returns, Bang Bang and Happy New Year. Kick did it for Salman what Jai Ho wasn’t able to do so. Kick becomes Salman Khan’s 7th 100 crore grosser. The movie raked in 233 crores at domestic Box Office and is currently the highest grosser of year. Ajay Devgn delivered his highest grosser with Singham Returns. The movie grossed 141 crores at domestic Box Office. Hrithik Roshan and Katrina Kaif starer Bang Bang, remake of Knight and Day worked well at Box Office. The movie grossed 180 crores at Box Office. Farah Khan’s ambitious project Happy New Year also make it to the 100 crore club. The movie collected 204 crores at domestic Box Office. 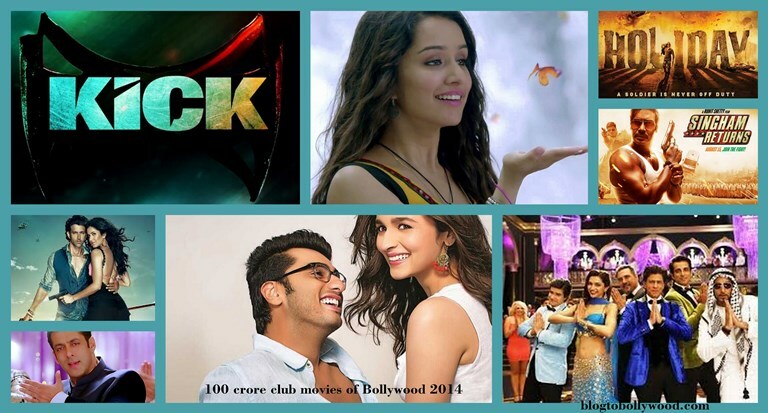 Which of these 100 crore movies of Bollywood 2014 do you like the most. Share your thoughts with us.